Description: Although it is not well known as a coastal destination, this small and historic town has attractive sandy beaches, a friendly and laid-back atmosphere, and a wealth of decaying colonial buildings dating from the slave trade and the German occupation. It is also a good place for cultural visits. All this makes it a great place to get away from it all and just relax. 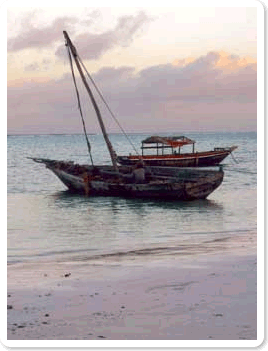 For those who like a beach without the crowds, this is a good alternative to Zanzibar. 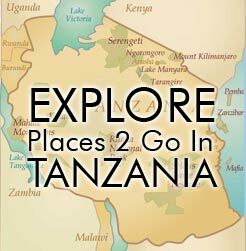 Location: Northern Tanzania coast, south of Tanga, can be reached by flight to Tanga or in conjunction with a trip to the Usambara Mountains and/or Amani Reserves. Things 2 Do: Diving, Snorkeling, Boat Rides, Fishing, Wind Surfing, Bird Watching, Cultural Tours, Walking and Spelunking.